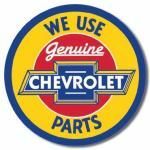 Bring a touch of nostalgia into your home or garage with this Corvette Metal Sign. 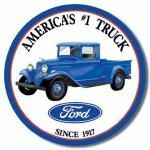 Designed for collectors and fans of all things vintage and timeless, this metal tin sign is sure to please with it's classic eye appeal. You can take advantage of this great design in your garage, man cave, or any other place in your home or office. Make it theme by simply adding Chevy Power Metal Sign!